Duggan Tanker Parts Limited are authorised by Road Safety Authority (RSA) to carry out tank testing on rigid fuel tanks under paragraph 54 of S1 349 of 2011 European Communities (Carriage of Dangerous Goods by Road and Use of Transportable Pressure Equipment) regulations. Our test procedures are carried out using calibrated equipment. On successful completion of testing a plate is fitted on tanker and certificates are issued. We carry a large range and quantity of stock parts - should a faulty part be discovered on the day of the tank test we can fit/repair the part as part of testing. Our equipment is capable of pressure testing underground storage tanks and bitumen tankers. 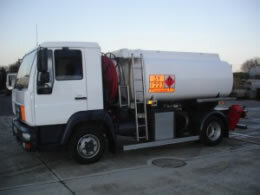 Duggan Tanker Parts offer a mobile testing service which is availbale nationwide.